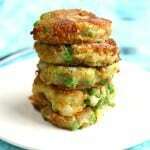 Are you looking for food for a party? 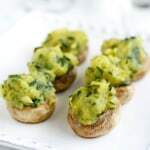 You'll find allergy friendly appetizer recipes for all your party needs on this page. 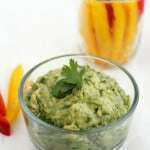 Try favorites such as Dairy Free Chip Dip, Pepperoni Bread, and Vegan Stuffed Mushrooms. 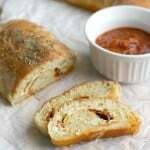 These fun recipes are allergy friendly, so no one will feel left out at your gathering! 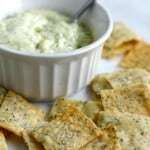 Gluten Free Poppy Seed Crackers with Garlic Spread. 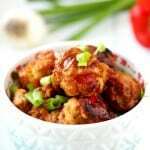 Teriyaki Turkey Meatballs (Gluten Free, Egg Free). 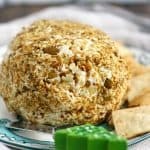 Easy Vegan Cheese Ball (Nut Free). 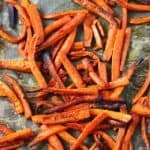 Easy and Tasty Roasted Carrot Fries. 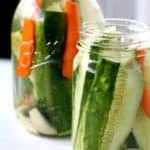 The Easiest Refrigerator Dill Pickles. 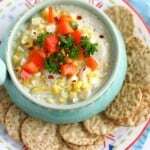 Spicy Sweet Seasoned Kettle Corn. 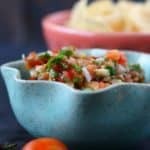 This delicious seasoned kettle corn is spicy, sweet, and hard to stop eating! 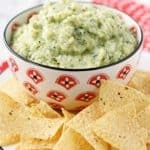 The perfect snack to enjoy while watching a movie! 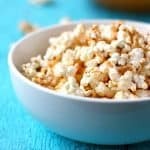 Did you know that you can make kettle corn at home? Once I heard this news, I was blown away. 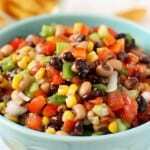 Sure, homemade popcorn is great, and we make it pretty regularly around here…. 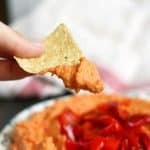 Red Pepper White Bean Dip. 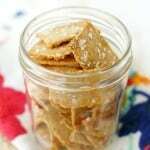 Easy Oatmeal Crackers (Gluten Free and Vegan). 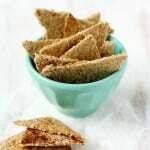 These crispy oatmeal crackers are made with freshly ground oats and pack a delicious and flavorful crunch! We love our snacks in this house. My two growing boys seem to be in a very “snacky” phase right now. 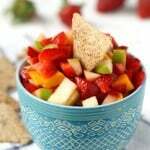 They love to eat apples and bananas, or homemade granola, or some kind of crunchy snack…. 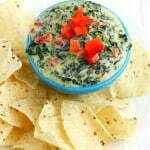 Quick and Easy Vegan Spinach Dip. 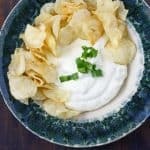 Creamy Dairy Free Chip Dip. 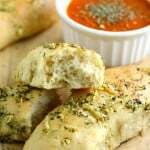 Vegan Garlic Herb Breadsticks with Marinara Sauce. 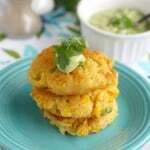 Fried Corn Cakes with Cilantro Avocado Cream. 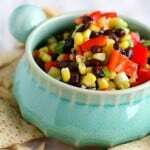 Sweet and Tangy Black Bean and Corn Salsa. 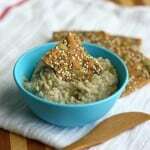 White Bean Dip with Lemon and Dill.